Inspiration Songket Affairs : We're back! We're back! we hoped you lovelies had an awesome RAYA! 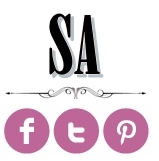 We're back to usual postings & more newww stuff coming up here in Inspirasi @ SA. Stay tuned to win freebies! !Happy Weekend loves!